Traditionally, military spouses and children have been called the Silent Ranks, stoically supporting their enlisted family members. While military spouses have historically not had their stories told, The War Horse, a non-profit site covering the military, is working to elevate their voices and the voices of other underrepresented communities within the armed forces. And one of the ways The War Horse has taken steps to try and highlight their experiences is by developing new writers through a series of Writing Seminars. 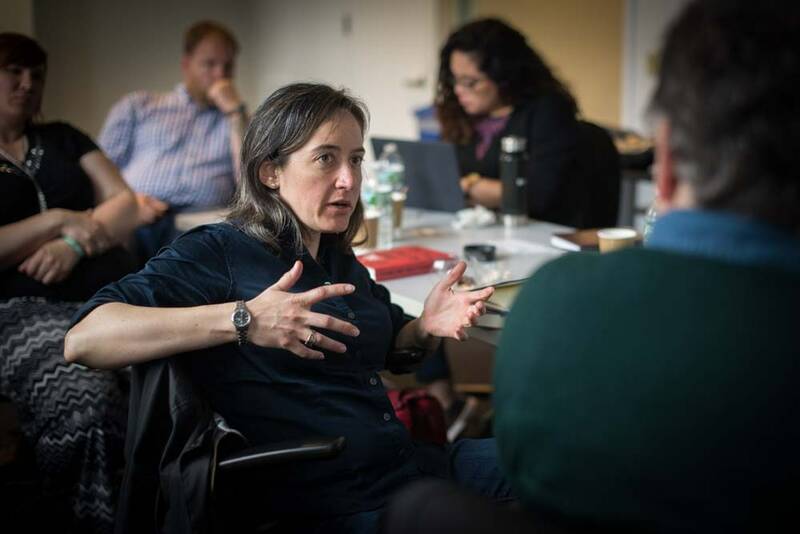 These week-long workshops afford attendees the time and resources to be able to focus on developing stories that the site ultimately hopes to publish. “We did a lot of staying in our lane as spouses, and kind of kept quiet, but in reality we have all of these incredible stories to be told,” said Sarah Schmidt, a military spouse who was one of a dozen fellows to participate in The War Horse’s most recent seminar last month. The fellows spent a snowy week at the Carey Institute for Global Good in upstate New York attending workshops and developing their stories. Schmidt wrote about the loneliness military spouses experience as they move a lot and what that means for her kids’ experiences growing up. Her story will be published soon on The War Horse. This week in Solution Set, we’re going to study The War Horse Writing Seminars. We’re going to look at how the site has used the seminars to diversify its pool of writers, how it’s built successful cohorts of fellows, and what the experience has been like for participants. While The War Horse focuses on the military community, there are a ton of great lessons here for any publication that’s looking to introduce new writers and tell underrepresented stories.